STEM is the acronym for Science Technology Engineering and Maths. They're subjects that as a country (UK) we generate many people who are world leaders in their fields, but which our Government underfunds and which is undervalued by much of our society. This is bad for several reasons, not least of which is that not enough young people are studying these subjects and therefore we have a shortage of people entering STEM professions. education who took them out to science centres and museums. Maths is slowly gaining some ground in the UK in being regarded as an important subject that you need for life, as evidenced by the UK Government's recent decision that all children must not only stay on in education until they are 18, but must also continue to study maths if they failed to achieve a C grade in it at GCSE. I have some issues with this in that, as it stands, Maths GCSE does contain a lot of things which could be substituted for more relevant life skills, focusing on everyday maths such as what the repayment rates on payday loans actually mean perhaps. Nonetheless, for maths as a subject this is probably a step in the right direction. It still may not make maths more appealing to children as a subject to take on to further and higher education though. STEM subjects are harder to achieve high grades in than arts and humanities, which puts off a fair number of students who want high grades at A-Level and aren't too concerned about the subjects they take. The only children who therefore take them on tend to be those who already know what degree they want to do at University and that STEM subjects are an entry requirement for it, or those who have discovered a real passion for a STEM subject. We can easily dampen even the greatest enthusiasm by failing to provide opportunities for exploration, moaning about mess when they do experiment with things at home, refusing to answer their endless questions, making them feel that it is wrong to ask questions just because we as adults think it's obvious, or we don't know ourselves, or are just too tired and busy to think about it. Every time a bright child raises their hand to answer a question in class and gets the eye-rolling treatment from the teacher whose job it is to get every child to respond is receiving the message that they are a nuisance, dumb down, be more like everyone else, be average, sacrifice 'boffin' for popular. easy experiments you can do with your kids from a very early age, some of which I've blogged about in the past. The National STEM Centre has activities which you can download for different age groups from first years at school right through to college age. 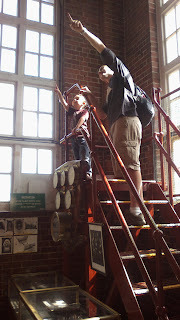 I also love taking the boys to STEM attractions. 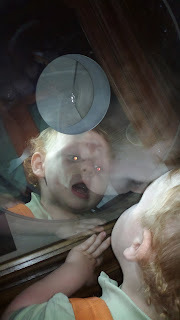 The Science Museum in London was a huge hit from the first time I took Ollie at about 18 months. The chaotic sensory fun of the 'garden' in the basement was his favourite. 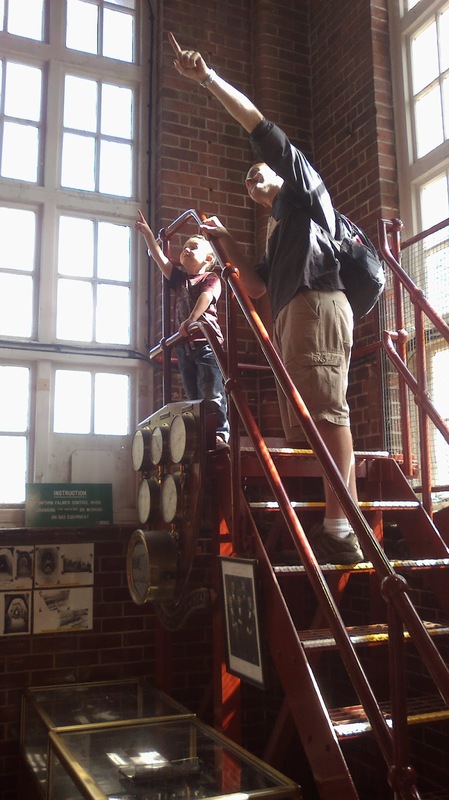 Locally (East Sussex, UK), we visit Herstmonceux Observatory Science Centre at least once a year, which is best in summer when you can take full advantage of it's outdoor water exploration and giant hands on science exhibits, as well as science shows in the geodesic domes. Even when it's wet outside though there are the telescope domes and an amazing array of science exhibits to entertain children and adults. 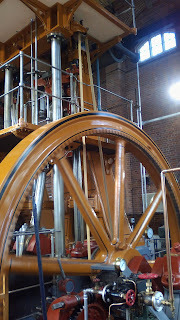 We have also, just today, discovered a new awesome place to go - Brede Steam Giants - who would have thought that steam pumping engines and water heritage collections could be so amazing. It's open on the first Saturday of every month, plus bank holidays, and if you want something big and showing to impress your little ones, I cannot recommend it enough. Even little Toby stared and stared at the huge wheels and pumps in motion. 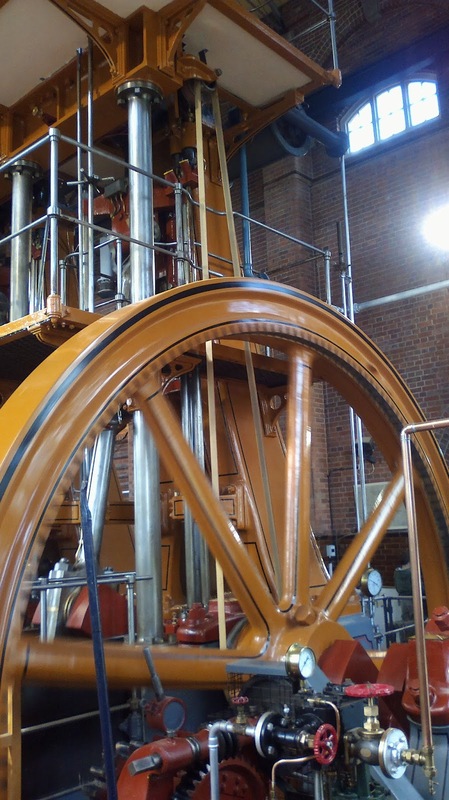 As an example of superb British and American engineering from the days when, just because only a handful of engineers would likely ever see it, there was no excuse not to make machines for public works grand and beautiful works of art. We can also support our kids by trying to answer those tricky questions that we don't always know off the top of our heads. For this the internet is incredibly handy for quick look ups (Ollie made me phone Matt at work while we were out the other day to ask him how far away the moon was for example, which Matt quickly looked up online). I still think you can't beat books though for sitting down together and exploring a topic and really getting to grips with those questions. The most entertaining one I've come across recently was 'Poo! What is that smell? ', kindly sent to us for review by Macmillan Children's Books. 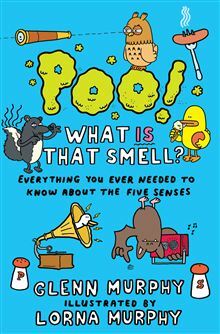 As soon as I saw who the author was I knew we were in for a good read, since Glenn Murphy is well known for his popular science for children series, including 'Does farting make you faster' and the hugely popular 'Why snot is green'. 'Poo! What is that smell?' does not disappoint. Illustrations by Lorna Murphy, the author's sister, help to get the points across and make understanding ideas such as the evolution of the eyeball easy. Glenn Murphy's background in science communication makes this so much more than just the list of gross science factoids you find in some kids popular science books. Some of the concepts are a little above my three year olds grasp as yet, but by reading material such as this myself I am getting ready for future tricky questions. I have a degree in Environmental Biology, but I found this book really valuable for providing explanations that were concise, at a level children will understand, but without being dumbed down. I decided a long time ago that when my kids ask questions, I will do my best to answer them even if the answer is tricky for them to follow, because the ideas often do start to stick. Hearing my three year old telling his toy that 'snails are boys and girls AT THE SAME TIME! They are called hermaphrodites' blew me away. Science, technology, engineering and maths then are subjects I can generally cope with. 'Mummy, why is that tree green?' no problem, that I can answer. 'Mummy, why is that tree?' now, there's one I struggled with. Any philosophers out there want to give me a hand? Our thanks to Macmillan Children's Books for 'Poo! What is that smell'. 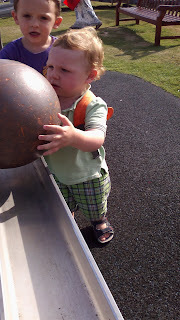 Opinions, teaching experiences and pictures of great days out are all my own.